I feel very lucky to spend my days doing such a varied and creative occupation. 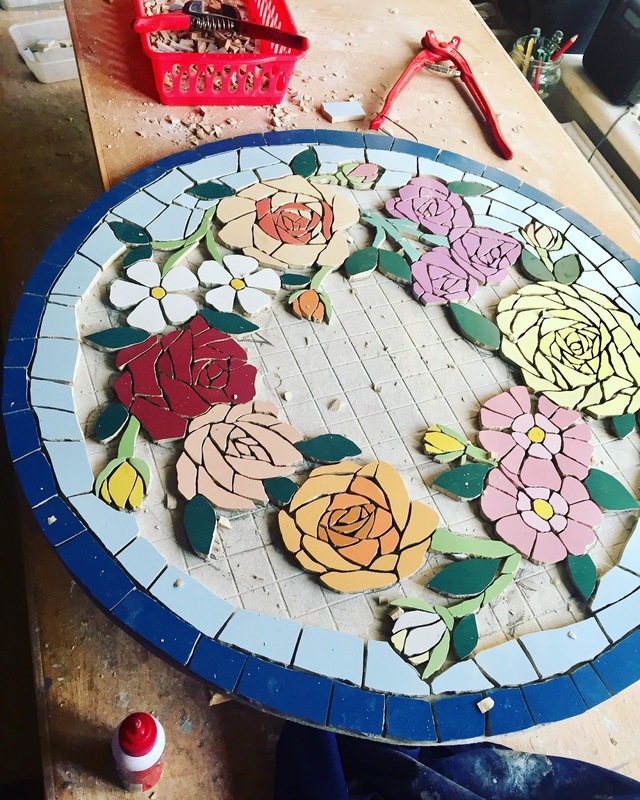 Since I last wrote, I have finished the Narnia mosaic, run two day mosaic workshops, put in a quote for my biggest commission so far and nearly finished making a rose mosaic bistro table! 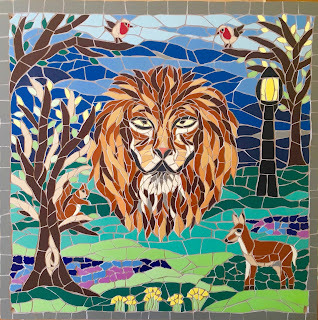 Firstly the Narnia mosaic - it was originally going to be a table, but my customer liked it so much, she decided to put it up on her wall! 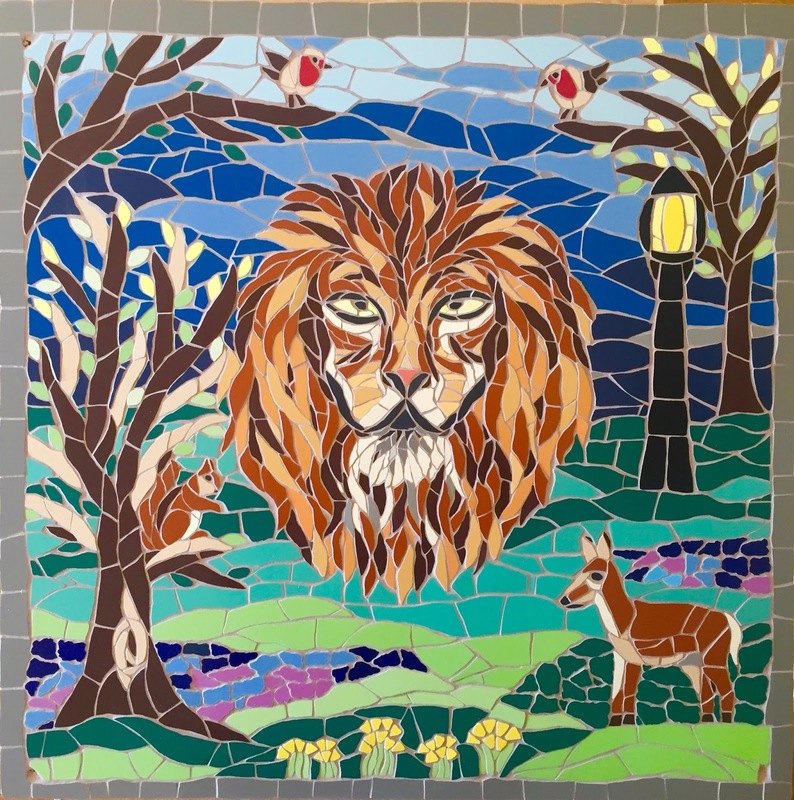 I have to say, I am delighted with how it turned out, especially the lion. 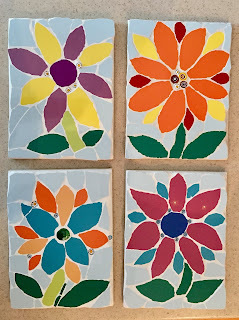 Then, the mosaic day workshops, where people come and say that haven't an artistic bone in their body, and leave, thrilled, with a lovely mosaic! Didn't they do well ...?! And finally the rose table, which I have loved making. I tried to create lots of different roses in the ring, so have had a lovely time looking at roses, for research purposes, of course! Christmas orders are now coming in thick and fast, which is great - so do look at my website www.felicityballmosaics.com - and see if anything catches your eye for the festive season. 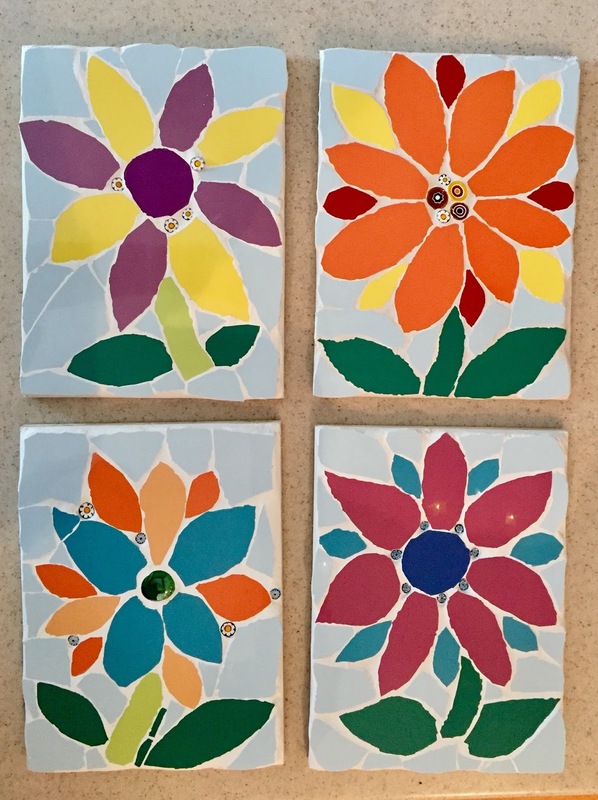 I ship my mosaics all over the world - don't forget to leave enough time for me to make them for you, and to find out what any overseas postage costs will be.